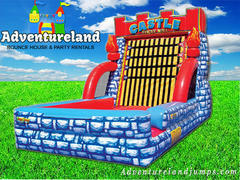 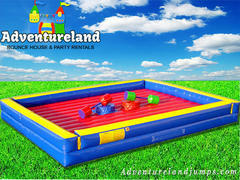 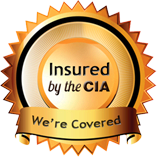 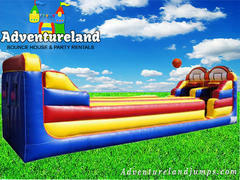 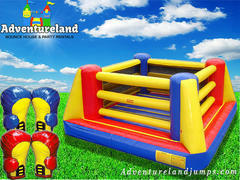 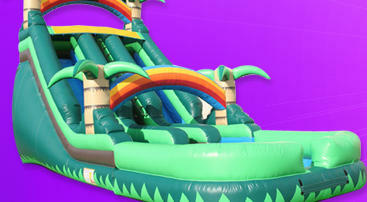 Adventureland Bounce Houses provides Sacramento, and surrounding communities with Inflatable Boxing Ring, Pedestal Jousting Arena, Bungee Run & Shoot, and Velcro Sticky Wall Rentals. 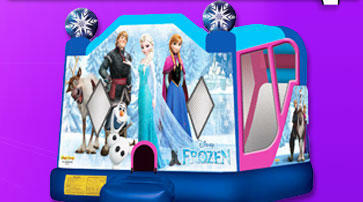 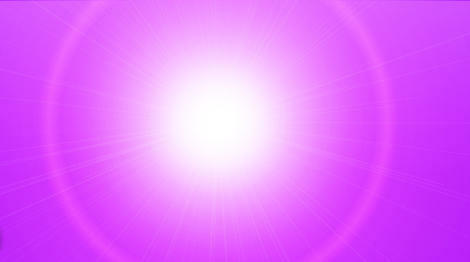 Interactives are a great way to add a bit of challenge, skill and interaction between your guests. 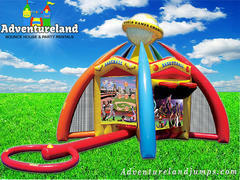 Our interactive rentals are a great way to turn your gathering into a real carnival with a series of these interactive game rentals.